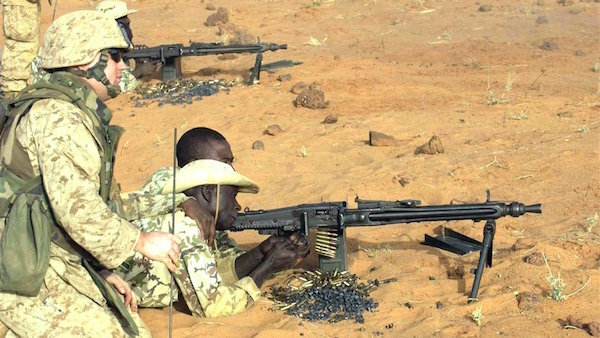 US officials said three US Army special operations commandos were killed Wednesday and two others were wounded when they came under fire in southwest Niger. The officials said the two wounded were taken to Niamey, the capital, and are in stable condition. The officials were not authorized to discuss the incident publicly so spoke on condition of anonymity. The officials said the commandos, who were Green Berets, were likely attacked by Al Qaeda in the Islamic Maghreb militants. 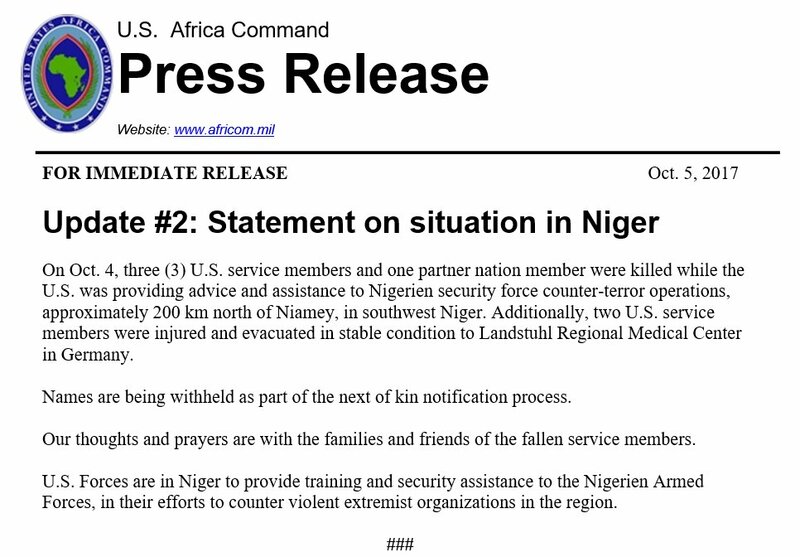 In a statement, US Africa Command said the forces were with a joint US and Nigerien patrol north of Niamey, near the Mali border, when they came under hostile fire. 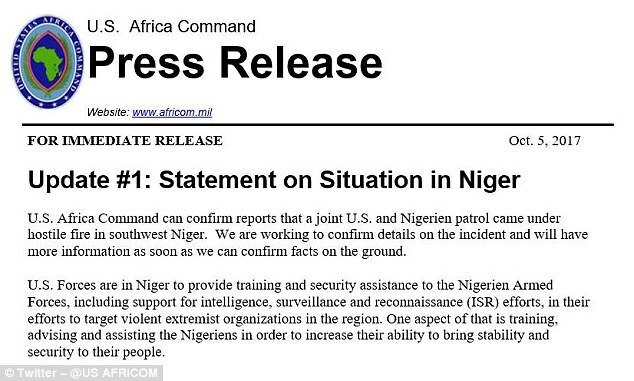 Africa Command said the US forces are in Niger to provide training and security assistance to the Nigerien Armed Forces in their efforts against violent extremists. ery sad that our Americans soldiers are being killed in Africa. What are they defending? Corrupt African tyrants? Defending hausa/Fulani invaders and terrorists in Nigeria? All our forces should be called back now. F*ck African Dark Continent.